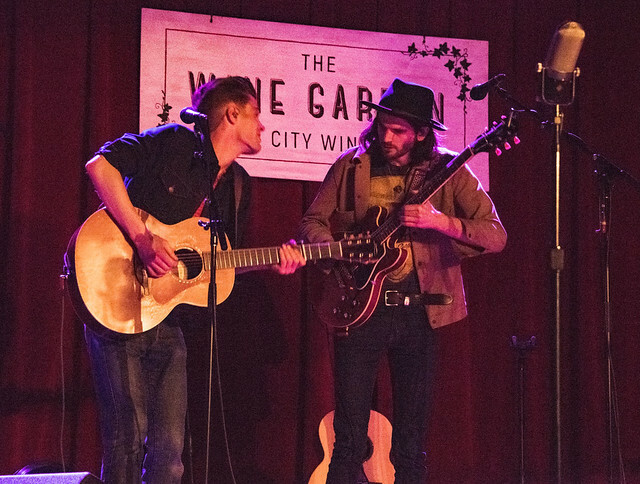 Posted on 02/11/2019 by Mark Caicedo	in Live Review and tagged Americana, City Winery, Dublin, folk, Hudson Taylor, Ireland. 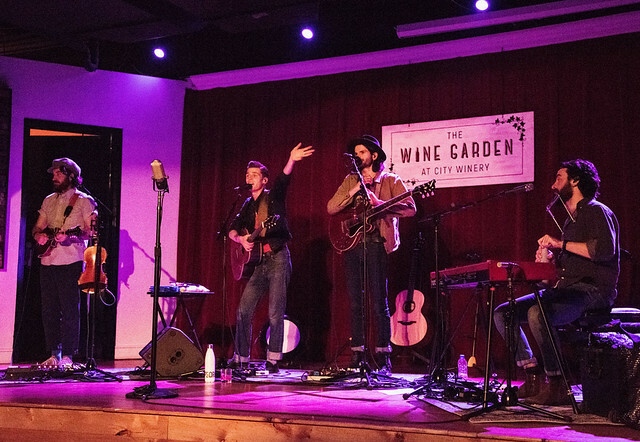 Hudson Taylor turned DC’s City Winery into a raucous Irish pub complete with hand-clapping, singalongs and rug cutting. 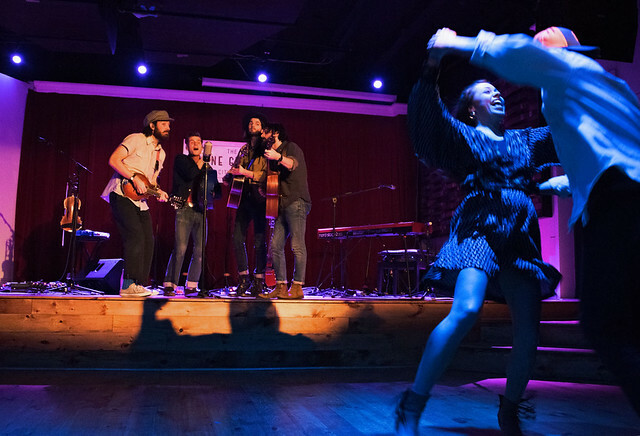 Hudson Taylor’s folky (and folksy) but lively Irish pop lends itself well to this type of behavior and certainly brightened a recent weeknight. 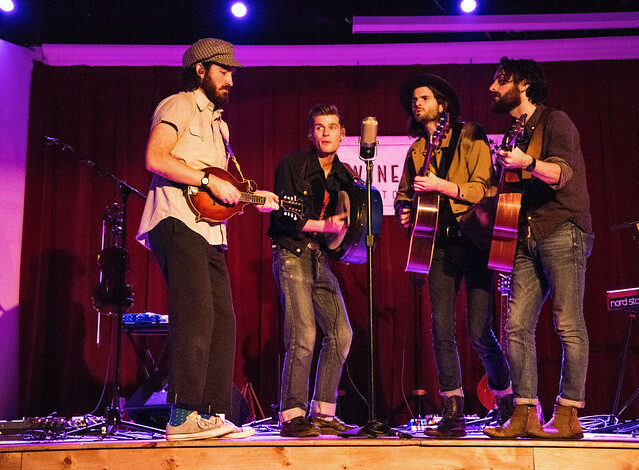 Brothers Harry and Alfie Hudson-Taylor began as a folk duo known as Harry and Alfie in 2011. Coming from a musical family in Dublin (their father was a musician and their mother a dancer) prepared them for their first gigs, busking on Dublin’s streets. 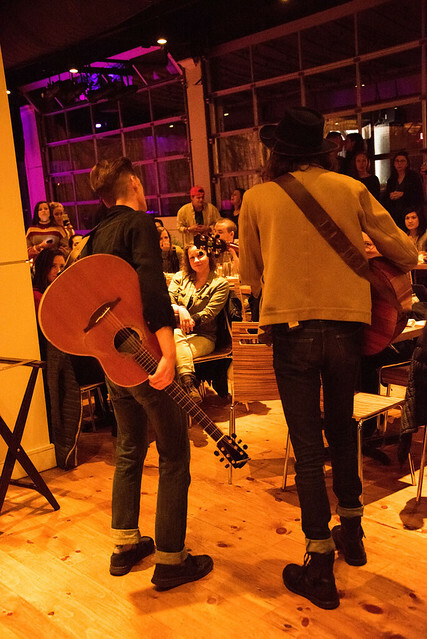 After amassing a huge online following, the duo became Hudson Taylor and entered the recording studio. Their début EP, Battles, was released in August 2012, with a second EP following in November, Cinematic Lifestyle and a third, Osea, in October 2013. Their first full-length album, Singing for Strangers, (a reference to the band’s earlier busking), was released in January 2015, addressed their personal experiences with fame and the music industry. 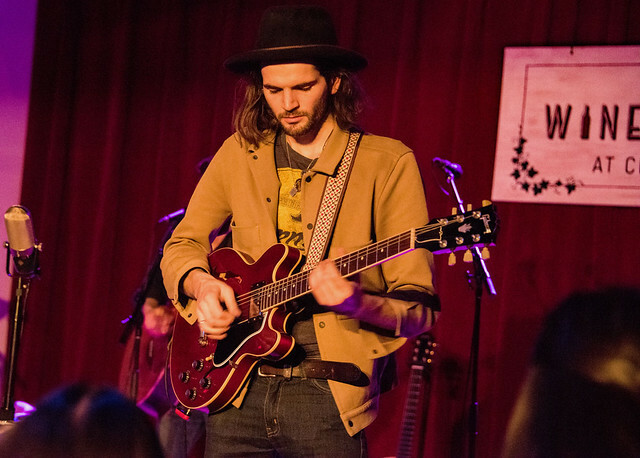 Another EP, Feel It Again, a mini-album, Bear Creek to Dame Street (Rubyworks) — and relentless touring — made 2018 a breakout year for Hudson Taylor. 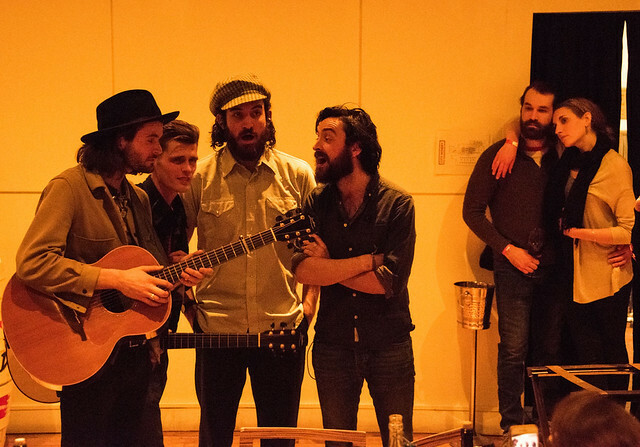 On Feb. 4, Harry and Alfie, along with Tadhg Walsh-Peelo (violin, mandolin) and Oisin Walsh-Peelo (keyboards), opened the show with their ode to life on the road, the bouncy “Travelin’.” Indeed, the show was the band’s fourth visit to the DC area in the last year, the last time in October opening for fellow Irishman Hozier at the Lincoln Theatre. 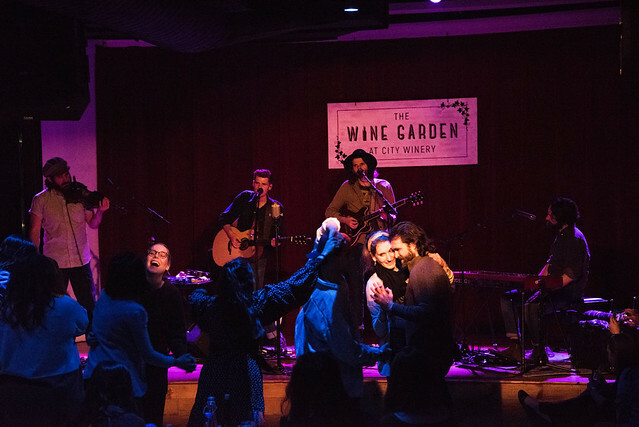 So, this appearance in the warm and cozy Wine Garden at the City Winery was an auspicious start to 2019. The energetic set progressed through songs from a steadily increasing repertoire familiar to most of the audience (curiously made up of an inordinate number of young women). 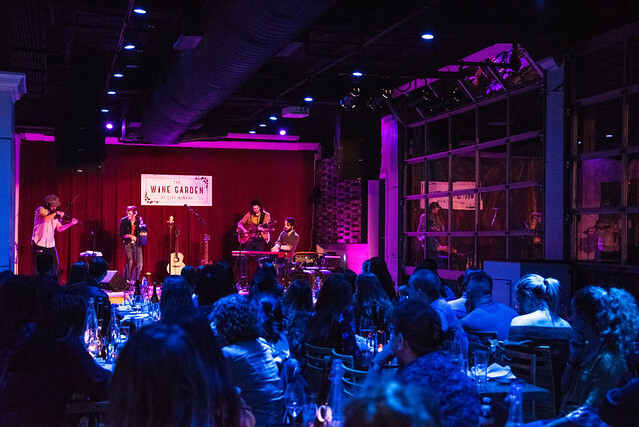 And since the venue’s tables had been strategically placed back from the stage leaving an open floor directly in front of the band, most of the crowd was up and dancing before too long. 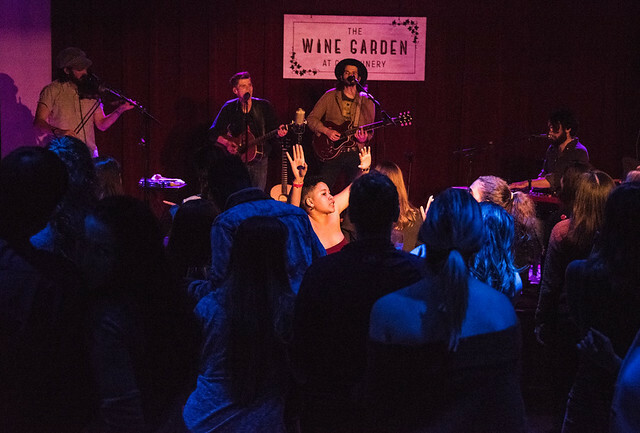 To close out the show, Alfie jumped off the stage, guitar in hand, and wandered to the back of the room to perform “Shot Someone” from the latest album. He was soon joined by Harry and the rest of the band, eventually returning to the stage to close out the show with “Battles,” leading to a massive dance off and a thoroughly exhausted and satisfied crowd. 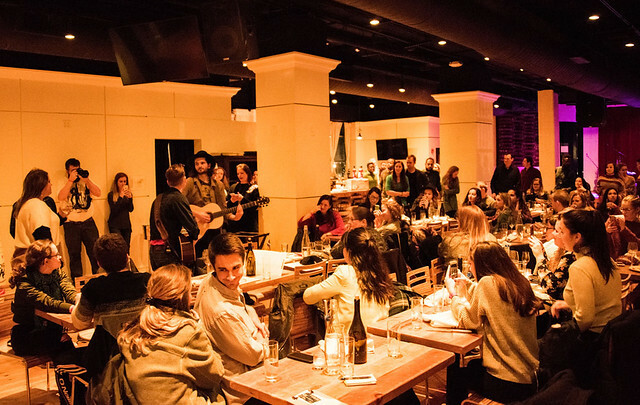 Obviously, Hudson Taylor is welcome back to DC anytime. And chances are they will be, check the band’s website for updates and concert information. 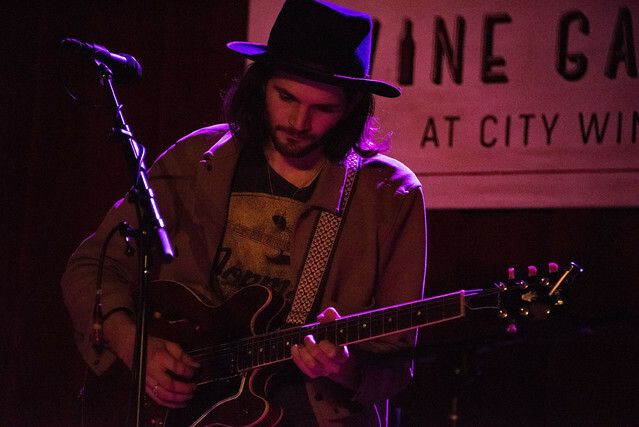 Here are some pictures of Hudson Taylor performing at City Winery on Feb. 4, 2019. All photos copyright and courtesy of Mark Caicedo.